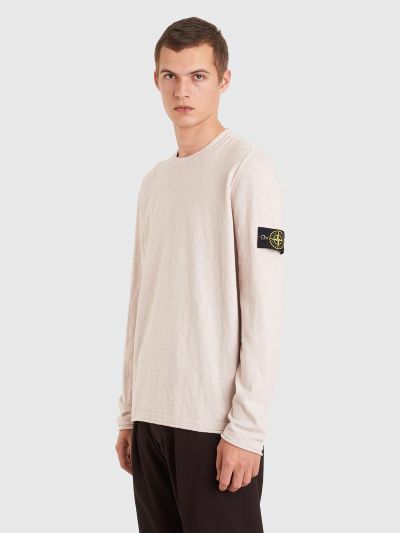 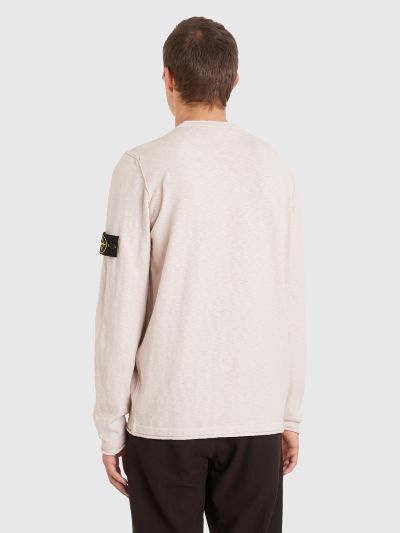 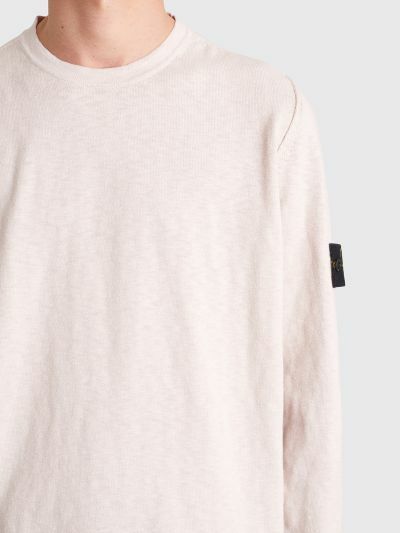 Knitted sweater from Stone Island with ribbed crew-neck, removable logo patch on the left sleeve and tonal top stitching throughout. Rolled cuffs and hem. 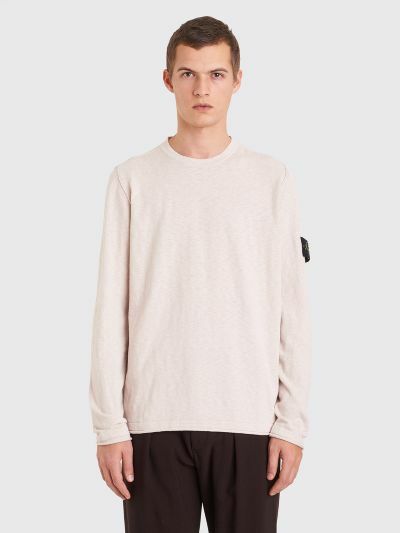 Beige sweater. 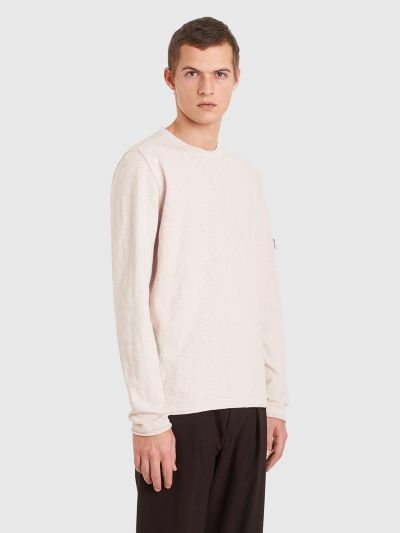 Made from 78% cotton and 22% polyamide.